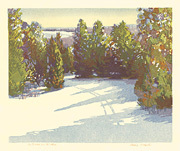 A Grove in Winter - -c.1945, Color Woodcut. Edition not stated. Signed and titled in red pencil. Image size 8 7/16 x 10 5/16 inches (214 x 262 mm); sheet size 11 7/16 x 13 3/8 inches (291 x 340 mm). A fine impression with fresh colors, on cream Japan, with full margins (1 1/2 to 1 5/8 inches), in excellent condition. 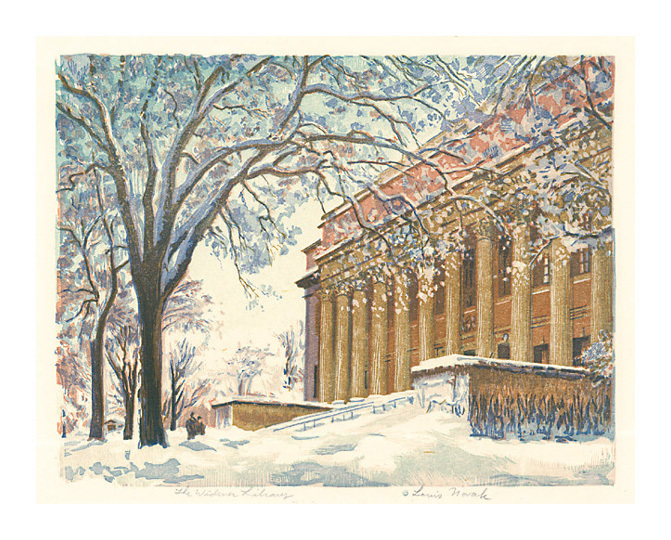 The Widener Library- -c.1946, Color Woodcut. 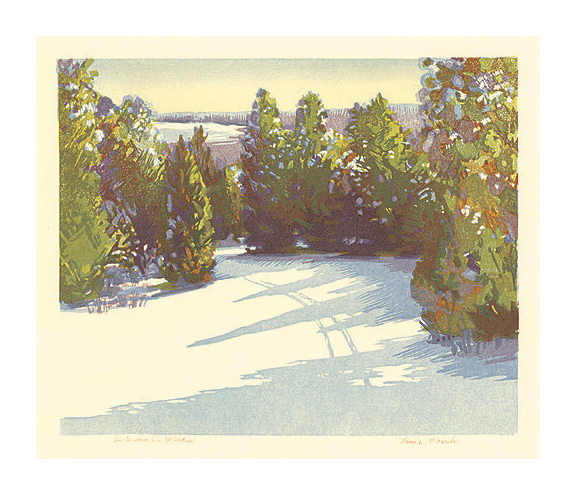 Image size 8 x 10 1/2 inches (200 x 267 mm); sheet size 9 7/8 x 12 1/2 inches (251 x 318 mm). A superb impression, with strong, fresh colors, on cream wove Japan; full margins (3/4 to 1 1/8 inches), in excellent condition. The Widener Library, Harvard University’s flagship library, opened in 1915.